This month my Technique Night Classes are focusing on watercolour background techniques. I needed some samples and today's card is one of them. I am so excited with how this project turned out. 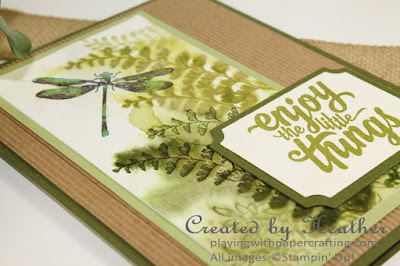 I knew I wanted to stamp the fern images on moistened watercolour paper and let the images bleed and run a little, but I wasn't sure just how much water to use and whether or not I should also spritz the ink on the stamp . Luckily, watercolour can be forgiving and I learned quickly what would work to give you the best effect. I love how the corrugated kraft paper behind the images adds to the jungle feeling of the card. 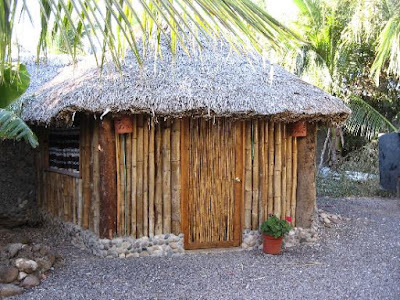 It reminds me of a jungle hut built with bamboo or something. I had quite the time selecting the background paper for this card. 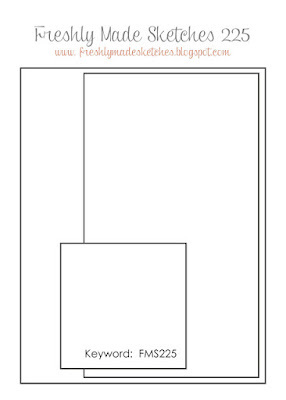 I had many different samples but nothing looked quite right. 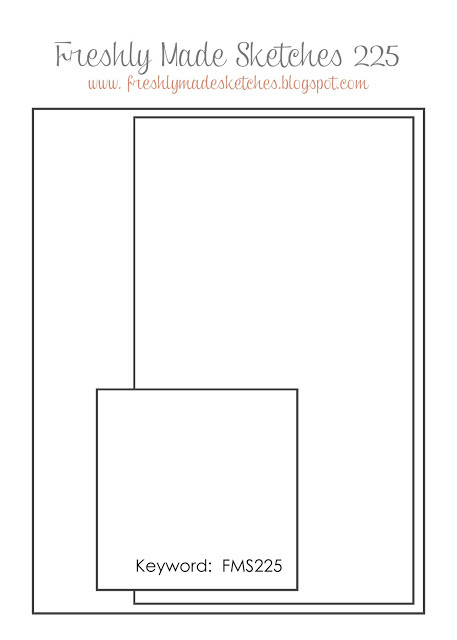 I even did a Skype consult with my daughter and she had the same reservations about the DSP samples I showed her. Finally she said, "What about Crumb Cake, or kraft?" And then I knew I wanted to use the Kraft Corrugated Paper, which is one of my favourites anyway. I don't know why it didn't occur to me right away. Yay for Wink of Stella! It was a quick, no fuss way of making my dragonfly iridescent! 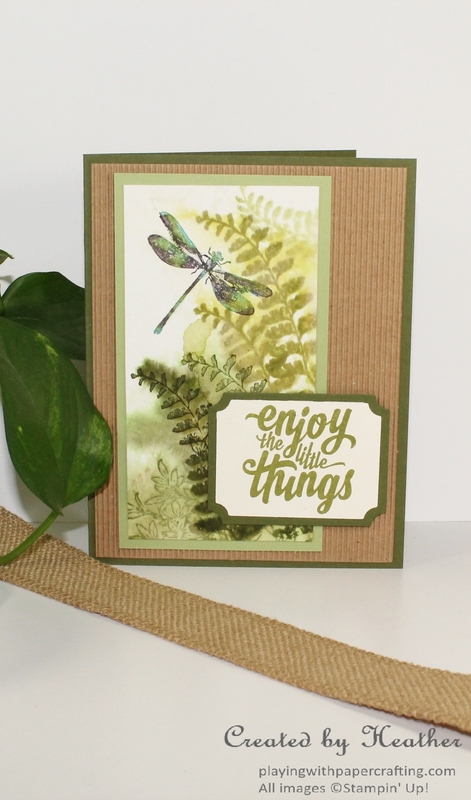 The ferns and foliage are from images in Butterfly Basics and Awesomely Artistic Stamp sets. And I used many shades of green layered over each other, including Mossy Meadow, Old Olive and Pear Pizzazz. 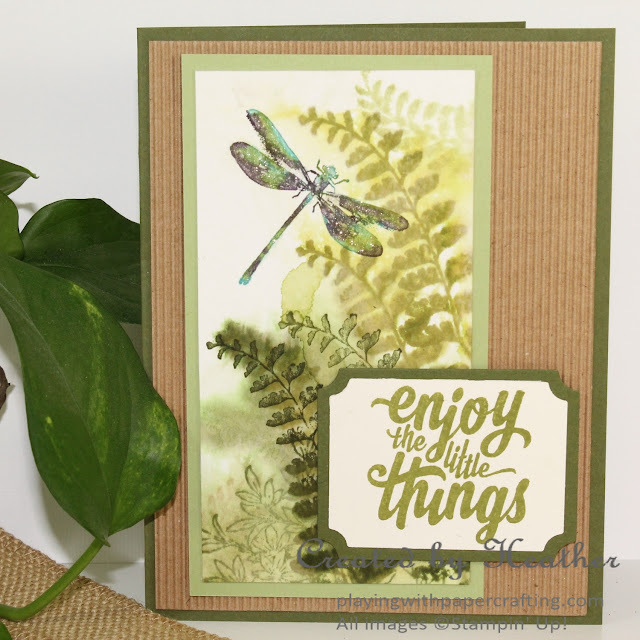 The sentiment is from the set, Enjoy the Little Things, which coordinates with the Kit of the same name. Hope you had a great weekend! 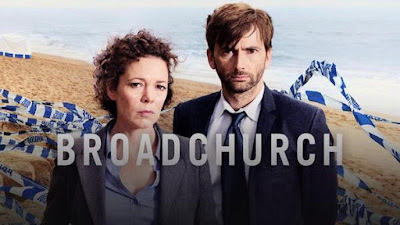 I got a lot done, which felt wonderful and my hubby and I had a bit of a Broadchurch binge. What a great show that is! I'm hooked! Welcoming Three New Sale-A-Bration Items!